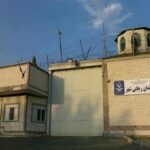 HRANA News Agency – Despite repeated claims of the prisons and security officials of addressing the principle of separation of prisoners on the base of their crimes in prisons, a large number of political or security prisoners have been exiled to Rajai Shahr prison where is the whereabouts of prisoners of violent crimes, a batch of prisoners who are kept separate from other political prisoners in the prison suffer more than the others. At least 20 prisoners in the prison are kept out of the dedicated place to political prisoners and with lots of problems. 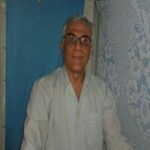 HRANA News Agency – Arjang Davoudi, political prisoner in Rajai Shahr prison says; his death sentence has been reduced to five years imprisonment in exile. He should be ready by 14th June to be exiled to Zabul prison.